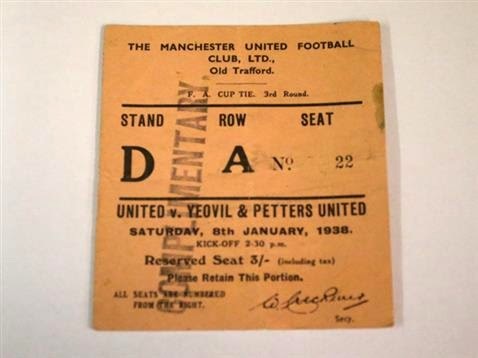 Man United vs Yeovil Town: Down memory lane. 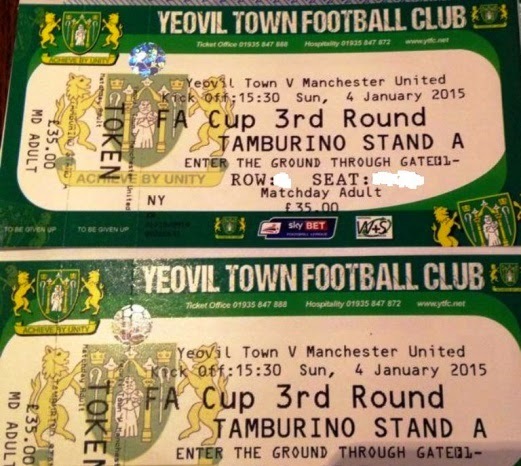 Yeovil Town will host their glamour tie against the mighty Manchester United, in the 3rd round of the oldest cup competition in world football, on Sunday 4th January 2015. What a tie this will be, as it is by far Yeovil Town’s biggest match for almost 70 years. The sides have met twice before, both times in the FA Cup. Here we take a walk down memory lane and have a look at those matches. Their first encounter was in the 1937-38 season. It was the FA Cup 3rd round, and the match was held at Old Trafford on the 8th of January. 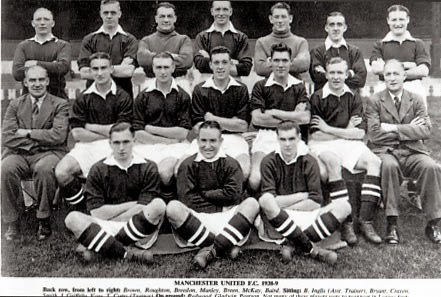 Man United’s team that day was: Thomas Breen, William Roughton, Hubert Redwood, George Vose, Jimmy Brown, William McKay, Bill Bryant, Thomas Bamford, Jack Rowley, Stan Pearson and Henry Baird. There is an interesting side story from the match. A group of cyclists rode bicycles up to Manchester (220 miles) to watch Yeovil play at Old Trafford. When United heard about this they gave them all a free ticket to the match in the old D stand. Those were the days. A decade later the two teams met again. 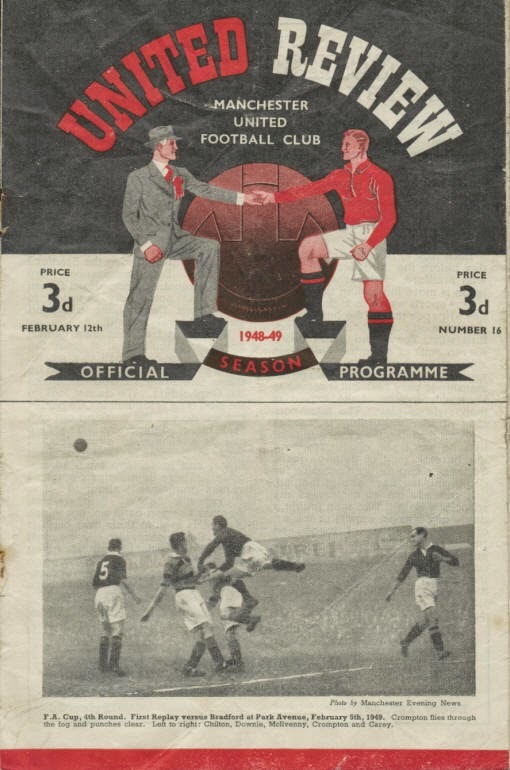 On the 12th of February in the 1948-49 season. United were the holders of the cup as they had beaten Blackpool the previous season 4-2 at Wembley. This time it was the 5th round of the FA Cup, and the match was played at Manchester City’s old ground, Maine Road. This was because of the work still being carried out at Old Trafford after the damage during the war. The attendance for the match was an incredible 81,565. 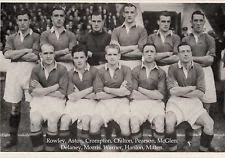 The United team that day was: Crompton, Carey, Aston, Cockburn, Chilton, McGlen, Delaney, Pearson, Burke, Rowley and Mitten. United totally dominated the match and ended up scoring a hat full of goals as they ended up winning 8-0. The scorers were: Mitten, Burke (2) and the prolific striker Jack Rowley bagged himself five goals. How times have changed from those days. I sincerely hope that Yeovil Town enjoy their day in the spotlight, but not too much of course. 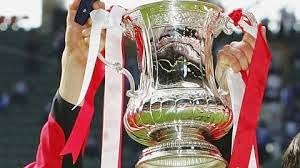 I am expecting a comfortable win, and for United to go on a long cup run all the way to Wembley. Previous Manchester United 2014 Review Part 1. Next Manchester United 2014 Review Part 2.